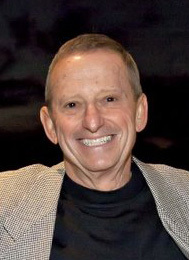 Robert Morantz, MD, is well recognized in the fields of neurosurgery, research and academia, but received the Award for his volunteer roles with numerous Collier County nonprofit organizations, including The Neighborhood Health Clinic, David Lawrence Center and the Take Stock in Children Program managed by Champions for Learning. A 1963 graduate of Columbia University, Morantz completed New York University School of Medicine in 1967 and received his Health Services Administration MPA in 1995 from the University of Missouri, Kansas City, Bloch School of Business & Public Administration. He also served as a Major in the Medical Corps of the United States Air Force, has held numerous academic appointments, directorships and positions on boards. 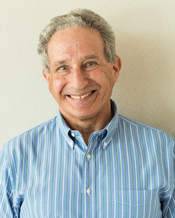 Additionally, Morantz has extensive research and professional experience in the medical field, was on the Editorial Board of NEUROSURGERY from 1983 to 1988 and co-published “Brain Tumors: A Comprehensive Text” with J.B. Walsh in 1993. He serves as an admissions advisor to Columbia University for Southwest Florida, is a director on the Operations Board of the David Lawrence Center, mentors high school students through Take Stock in Children, and served as the GNL vice-chair of the membership committee, chairing an ad hoc men’s committee promoting diversity in applications for the GNL Masters Program. The annual Distinguished Leadership Award is given to a GNL member who strongly exemplifies the mission of the organization–to provide proven leaders with a unique opportunity to learn firsthand about the issues and needs in Collier County and to encourage the use of their skills in bettering the community.